When making an investment in quality footwear, consider and take note of the details, because it’s all about details. As with everything relating to style, particularity about (and attention to) details enable you to bring elements of personality to your ensemble. 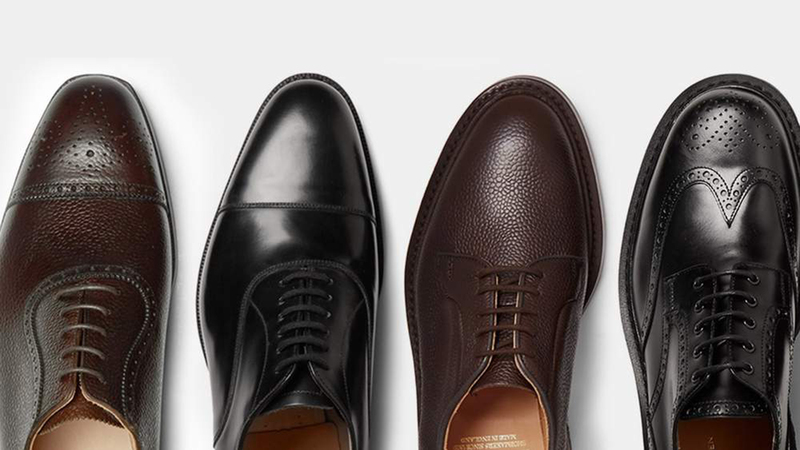 When choosing your next pair of dress shoes, abide by the one golden rule: the toes of your shoes should be rounded, and never squared or pointy. There’s a time and place for this style of toe but we are now discussing investment in a pair of dress shoes. 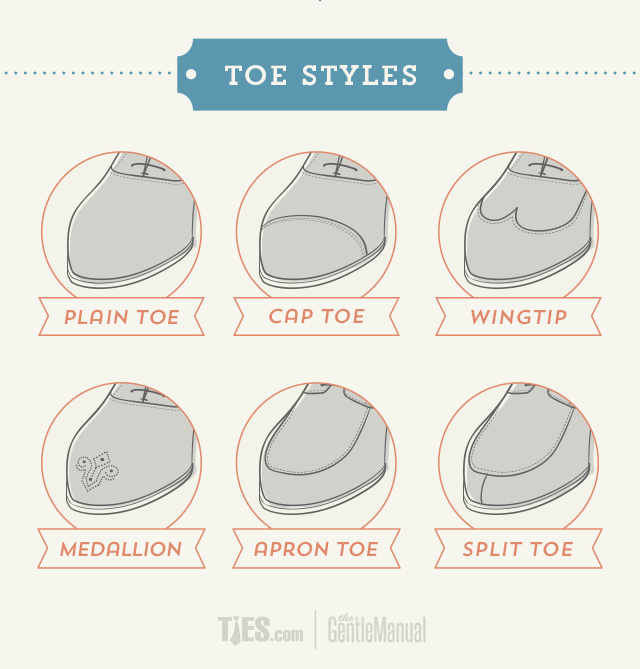 Plain toe shoes are as simple as it gets. The vamp is unadorned. The resulting look is clean and unassuming. A cap toe has a horizontally stitched line across the vamp of a shoe — it “caps” the toe. In most cases, this will actually be a separate piece stitched as the toe on the vamp, but sometimes the cap is accomplished by stitching. Many cap-toe shoes will be in the Oxford style, but the cap can appear on other styles too. The split toe, otherwise known as the apron toe, features a seam that begins in the middle of the shoe, runs around the toe, and ends at the middle of the shoe on the other side. This toe style is more common in casual shoes. The medallion style has a plain toe and hints of brogue decoration at the toe. This toe style has a winged cap that peaks in the middle of the toe. This toe style often features broguing in the center of the toe and along the seam of the cap.